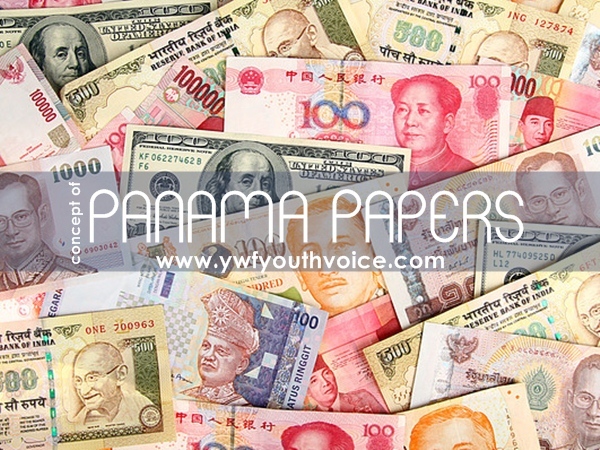 Read concept of Panama Papers in simplest language, know what it really is and why it is a big deal! By now you've probably heard of the “Panama Papers,” the name bestowed on a massive database leaked from a law firm based in Panama. The leaked documents show that the company, Mossack Fonseca, helps its clients set up offshore shell companies, some of which are allegedly linked to crime. A kid gets some money and puts it in piggy bank, which is on the closet’s shelf. His mom is aware of this and keeps a check on it daily, to see how much is there and how much is spent. Now, one day, the kid decides that he doesn’t want mom to look at his money and so he goes to his friends home with an extra piggy bank for keeping it in his room. He writes his name on it and keeps it in his closet. Since his friend’s mom is always busy, there would be no one to check it and would be kept as a secret. Looking at the kid, others too decide to do the same. Now, his friend’s closet is filled with piggy banks but one fine day, his mom comes and sees all the piggy banks and calls everyone’s parents for informing them about the same. But now, not everyone was doing this for a bad reason. Some were doing it for saving some extra money for buying presents for their parents, while some were keeping it safe, because their siblings often stole money. This is what these big people have done by hiding their piggy banks at Johny’s house in Panama. Now, the secret is revealed but we don’t know who did it for which reason. Was this allowed for first kid to buy that extra piggy bank? Were those extra money stolen from his own home or were they genuine savings from his pocket money? Many questions, answer can be different for different kids. Why is this such a big deal? The size of the release, for one, is staggering; then there's what all these files stand to reveal about offshore banking by global elites and its ties to illegal activities. Before we get into all that, let's define "offshore company": a corporation or legal entity registered in jurisdictions that allow tax exemption, anonymity and minimal government oversight. These jurisdictions are also called tax havens. While it is not illegal to set up an offshore company, including a shell operation, many use them to dodge taxes and hide proceeds from criminal activities. Now let's look at the Panama Papers. As we said, the leaked database is huge — the biggest data leak in history. The documents together dwarf all recent major leaks combined, including the WikiLeaks dump of American diplomatic cables in 2010 and Edward Snowden's files on the NSA in 2013. Size of data is more than 2.5TB that is huge, really really huge! The database was sent to Süddeutsche Zeitung, one of the largest and most influential newspapers in Germany, over a year ago by an anonymous source. Süddeutsche Zeitung approached the ICIJ, a reporting arm of the Washington, DC-based Center for Public Integrity, for help as the data was to massive to handle. 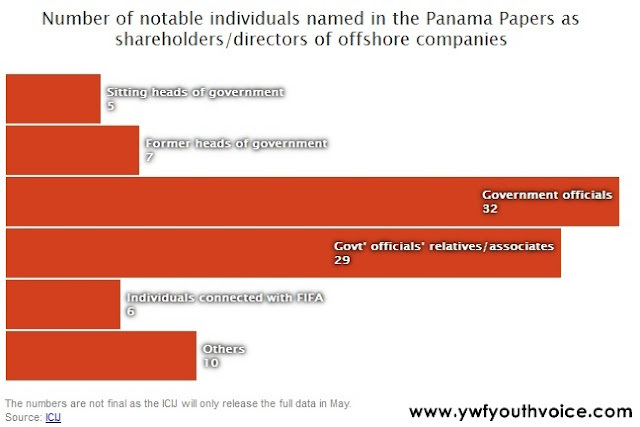 The ICIJ subsequently brought together almost 400 journalists — from over 100 news outlets in nearly 80 countries — to investigate these Panama Papers. They started to publish their findings on Sunday. Have a look at "The Structure Of The Leak". At least $21 to $32 trillion was hiding in more than 80 tax havens in 2010. The study also found that individual elites in 139 mainly low-middle income countries had accumulated $7.3 to $9.3 trillion of unrecorded offshore wealth in 2010, while their governments were borrowing themselves into bankruptcy and other economic predicaments. If 30 percent of $7.3 trillion in hidden wealth was paid as taxes and divided equally among 139 countries, each would get almost $16 billion. Imagine what a country like Nigeria could build with $16 billion. The ICIJ isn't done yet with the investigation. They've promised to release more data in early May, everyone is waiting for their next release. You may also like to read about the Indians that were found on the list of Panama Papers.